Russell Coutts is CEO of 2010 America's Cup winners BMW ORACLE Racing. (CNN) -- The 2013 America's Cup will be faster than ever after organizers announced that wingsail catamarans will be the vessels of choice. The race has historically been between yachts with a single hull, however the 34th edition of the contest will be between multi-hull vessels with wings rather than traditional sails. This means the boats will travel faster through the water, with top speeds in excess of 30 knots, almost three times as fast as in the past. The Golden Gate Yacht Club, hosts of the 2013 race and holders of the cup, have also announced a new, shorter race format for the competition. In an attempt to boost interest in one of sailing's showpiece events an annual World Series will also take place, starting in 2011, resulting a world champion team being crowned. In addition, a youth America's Cup will also be introduced, set to begin in 2012. We promised fairness and innovation and this is what we've delivered. In a statement on the International Sailing Federation (ISAF) website, the CEO of 2010's winning syndicate BMW ORACLE Racing Russell Coutts explained the reasons behind the changes. "We believe this new format and new boat will put the America's Cup back at the pinnacle of our sport," said Coutts. "These changes will give equal opportunity to competitors and long-term economic stability to all teams and all commercial partners. We promised fairness and innovation and this is what we've delivered." The statement also explained how, in addition to generating interest in the contest, the new annual America's Cup World Series will provide increased commercial revenue for the teams and their sponsors. The venue for the 2013 contest is not due to be announced until the end of the year, with San Francisco, Valencia and a location near Rome believed to be under consideration. Vincenzo Onorato, President of the 2013 challengers Mascalzone Latino, supported the changes: "I think that we need to acknowledge that the Defender has kept its word. 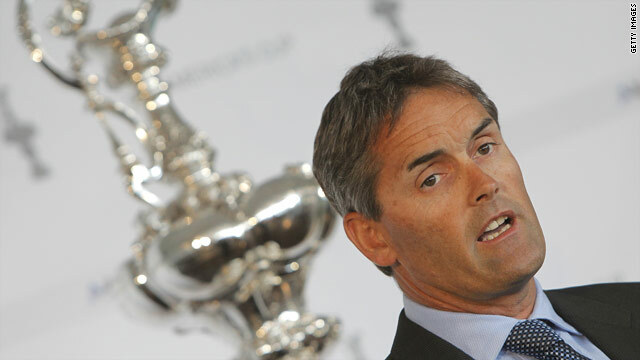 The America's Cup is going to have fair rules and a truly independent management of the racing."